We're looking for talented engineers to expand our development team! At LastPass, we're passionate about technology, about our product and brand, and about how we can help improve people's online lives in a meaningful way. We're a committed, driven team, and we love what we do. LastPass headquarters are based in Vienna, Virginia, centrally located near the nation's capital and easily accessible by public transport. Employees enjoy flexible work hours, flexible holidays, and a great benefits package. A weekly company lunch outing helps keep the social atmosphere relaxed. The LastPass Fill Form feature makes online shopping and account registration less painful by eliminating most of the required typing, getting you through checkout even faster. 1. Remove credit card information stored in online accounts. As the recent incident with Zappos shows, it's important for the end user to be as cautious as possible with online shopping. Many sites allow you to store credit cards in your account to facilitate easy checkout. With LastPass Form Fill, though, there's no more need to store them with the site, since it's easy to autofill the next time you check out. If you frequent sites like Amazon, Barnes and Noble, and other retailers, consider updating your site's account settings to not store your credit card information, and rely on Form Fill to insert your data when you need it. 2. Check for expired or outdated Credit Cards. Recently replaced a card? Make sure the new changes are reflected in your profiles. 3. Update profiles with any address changes. If you've moved recently, take a moment to review your profiles to ensure you have the most up-to-date information for your addresses and credit cards. 4. Set a "Default Profile" and use a hotkey to autofill. If you have several profiles but use one more often than the others, consider checking the "default form fill profile" option in the Preferences menu of the LastPass browser icon. You can then set the hotkey for the default profile in the Hotkeys section of the Preferences menu (such as Ctrl + Alt + T). Next time you need to autofill your default form fill profile, you can simply enter your hotkey. Go to your LastPass Icon, and from the Fill Forms menu select "Add Profile"
For more detailed information on how to set up your Form Fill profiles and start shopping more efficiently with LastPass, read our recent in-depth blog post. Have a LastPass tip of your own? Or a feature or question you'd like us to cover? We'd love to hear your thoughts at press@lastpass.com. Online shoe and clothing retailer Zappos recently announced that the personal account information of 24 million users has been compromised. In an email to their userbase, Zappos confirmed they will require a password reset for all account holders to prevent unauthorized access. Even if you've already reset your password for Zappos, it's important to double-check that your new Zappos password is secure, that you weren't using the same or similar password on other sites, and that you don't have other critically weak or duplicate passwords lurking in your vault. Go to the "Tools" menu in your LastPass browser addon, and select the Security Check to review your data. Once complete, you'll receive a score from 0 to 100 and a detailed analysis of your stored passwords. We've mentioned before the importance of auditing your vault data to get an idea of how strong your passwords are, and to identify passwords that are still in use across multiple sites. For a more in-depth look at the Security Check, read our related blog post. Once your Security Check results are in, note if the password for Zappos is shared with any other account logins. If so, make a list of the sites (or print off the LastPass Security Check results) to reference as you make changes. Go to the Zappos password change page to login to your Zappos account. You can also launch Zappos by clicking the "visit site" link next to the entry on the Security Check page to login and go to the account settings page. From there, use LastPass to generate a new password, selecting "show advanced options" in the password generator if you'd like to increase the number or types of characters used. When you submit the changes, confirm the update to the site entry stored in LastPass. Follow the same steps to login to any other site sharing the Zappos password and update the account with a new password generated by LastPass. 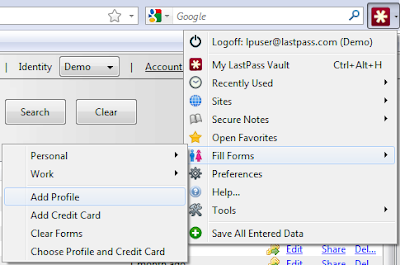 Note that you can access the LastPass password generator under the Tools menu in the LastPass Icon at any time. For more details on how to update old logins with passwords generated by LastPass, see our previous blog post with step-by-step instructions. We know our users do a great job of following best password practices with LastPass; if you feel you could improve, our resolutions posts will help you get started (more posts on the way!). We want to say thanks to our users who have been enthusiastically recommending LastPass as a password management solution in the wake of the Zappos leak and similar incidents. We hope to continue spreading the word that you don't have to use the same password everywhere, and that with LastPass there's an easier, more secure way to manage your online life.